Over the last few weeks, Tesla has waged an interesting PR war after a New York Times test drive ended with a Model S on a flatbed. Now, days after an offer to bury the hatchet with the Times, Tesla CEO Elon Musk says that review cost his company $100 million. That hatchet must not have been buried very deep. Musk is not known for being shy or taking things lightly. And instead of downplaying a loss from bad news, Musk probably overestimates the amount his company lost. He told Bloomberg they had cancellations based on the article which cost the company to the tune of $100 million. 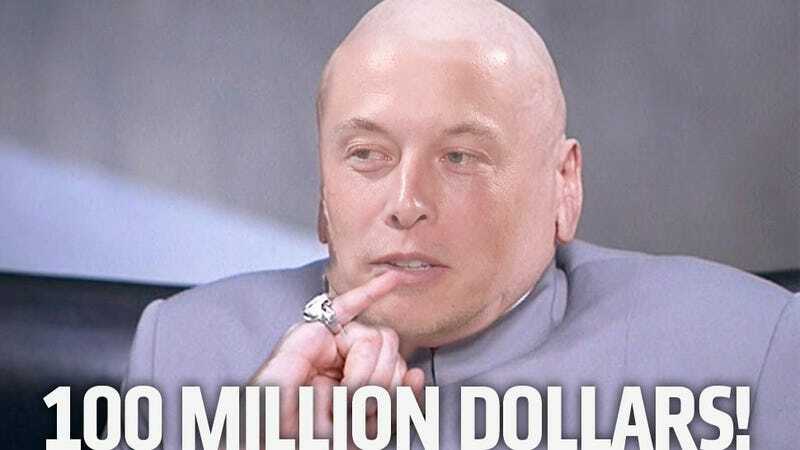 The interviewer realizes that means about 1,000 cars were cancelled, and that's when Musk quickly backtracks. He didn't mean the cancellations cost $100 million! Duh! He actually meant that the cancellations as well as the damage to brand equity are what cost Tesla $100 million. So it's a theoretical $100 million. He does say "there were probably a few hundred" cancellations thanks to the article. If Tesla released detailed sales data like almost every other car company, we'd know how accurate this statement is, but it's right to be skeptical of him conflating cancellations over the NYT article with previous cancellations for various other reasons. But it doesn't seem to have had an impact on Tesla's 20,000 unit target for the Model S in 2013. Musk says they're currently building 400 Model Ss each week.